This CJ4 was delivered new & entered service with a Colorado based business owner June 27, 2013. 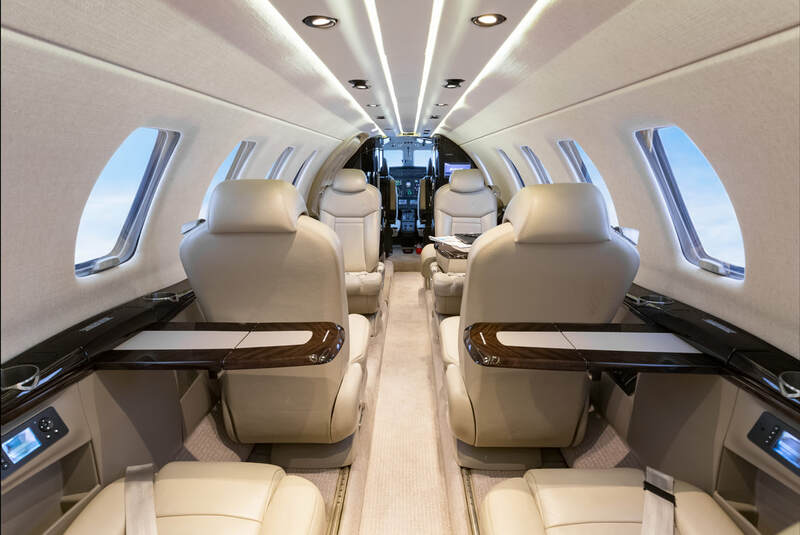 The aircraft was professionally flown and based at Centennial Airport (KAPA) located in the Denver-Aurora metropolitan area. December 11, 2018. 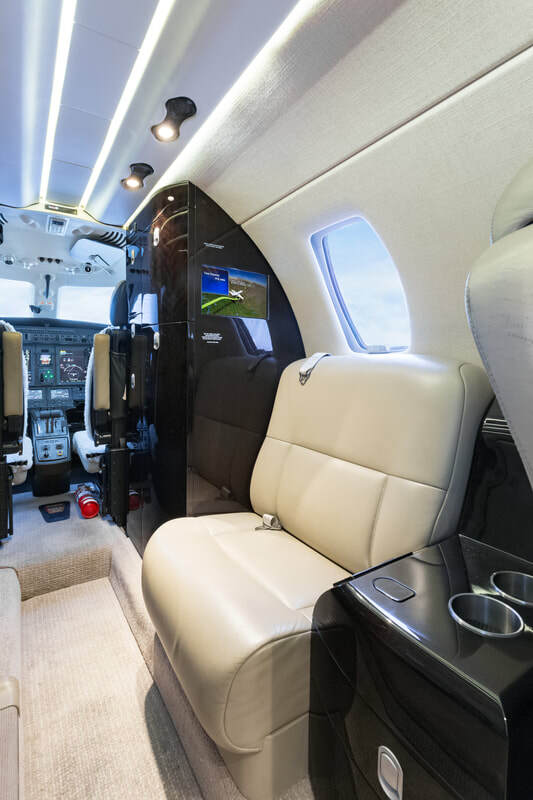 It was purchased & delivered with 798 Flight Hours and complete Assurance Pre-Buy at the Wichita Cessna Citation Service Center. 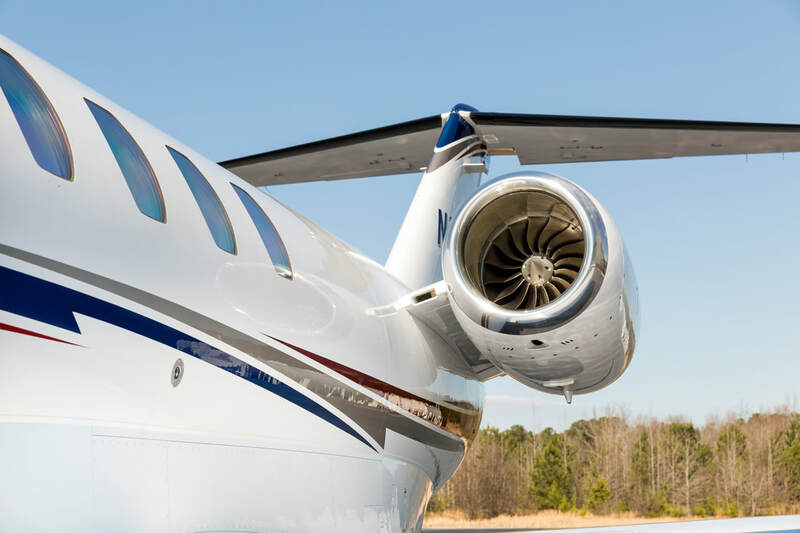 It is currently owned & operated by an Amjet Acquisition Client as an interim aircraft with the intentions to replace it with a larger aircraft to be identified. 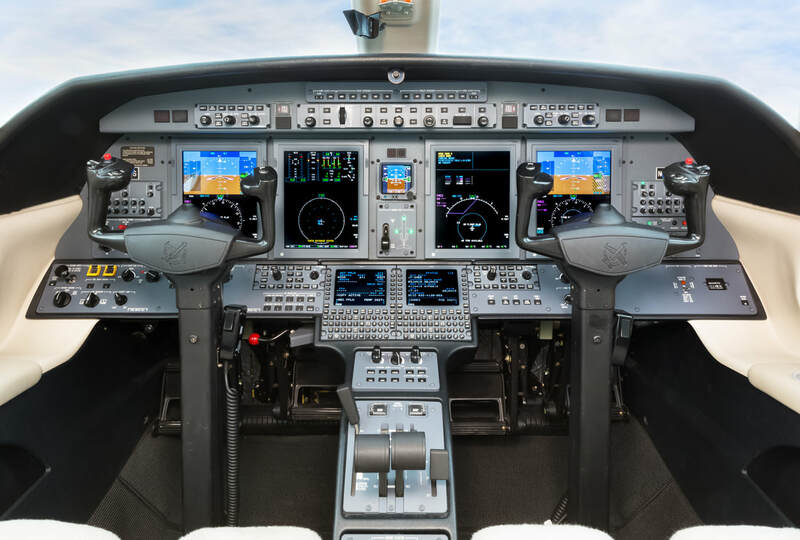 It will continue to remain in service and be flown by professional pilots until it is sold. 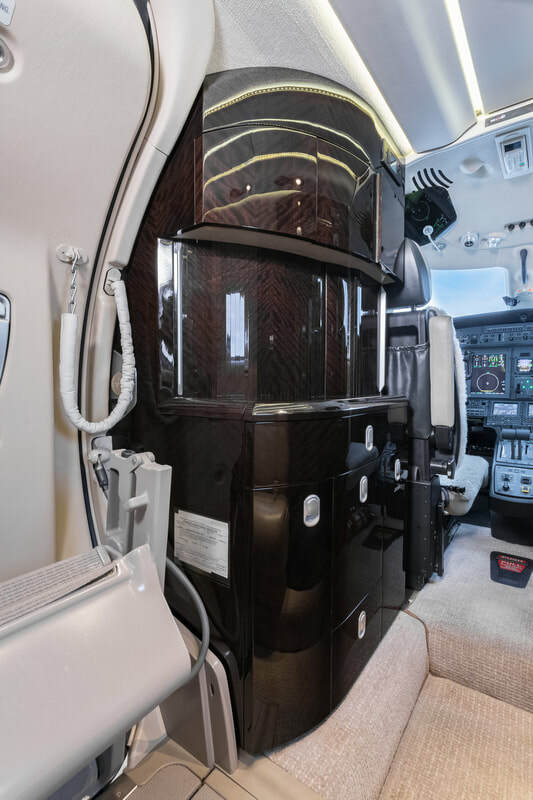 Floorplan features an Eight-Passenger cabin with Six-Pedestal Center Club Seats with Seventh Side-Facing along with a Belted freshwater flushing toilet in the aft cabin lavatory offers an approved Eighth Passenger Seat. Sliding divider doors provide privacy. 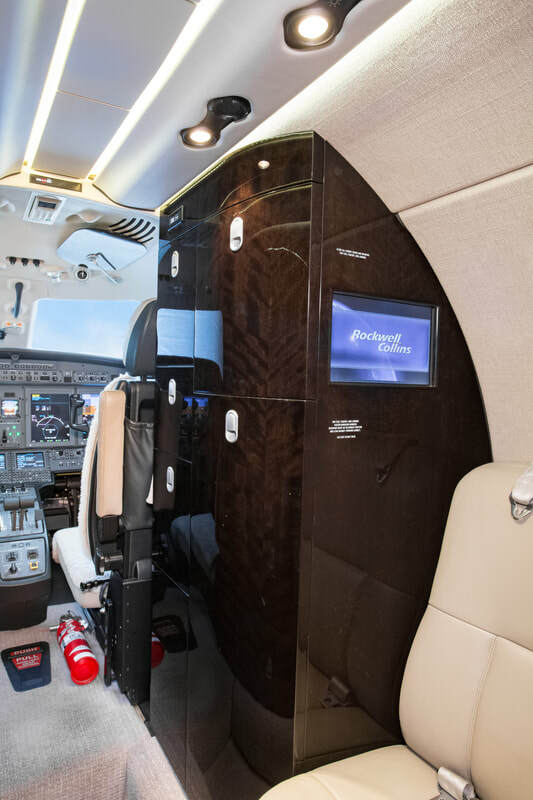 Standard Citation CJ4 configuration features a six-place center club with a seventh seat (Location 3) across from the entry door facing sideways. 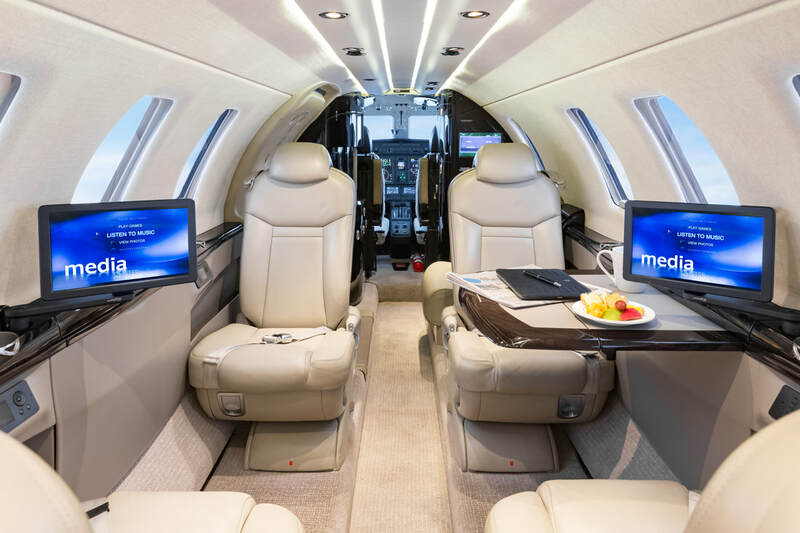 Six pedestal seats in a Center Club Floorplan tracks forward, aft, and laterally and may be reclined. The two center seats (#5 and #6) are mounted on floor tracks for greater flexibility and have full recline capability. 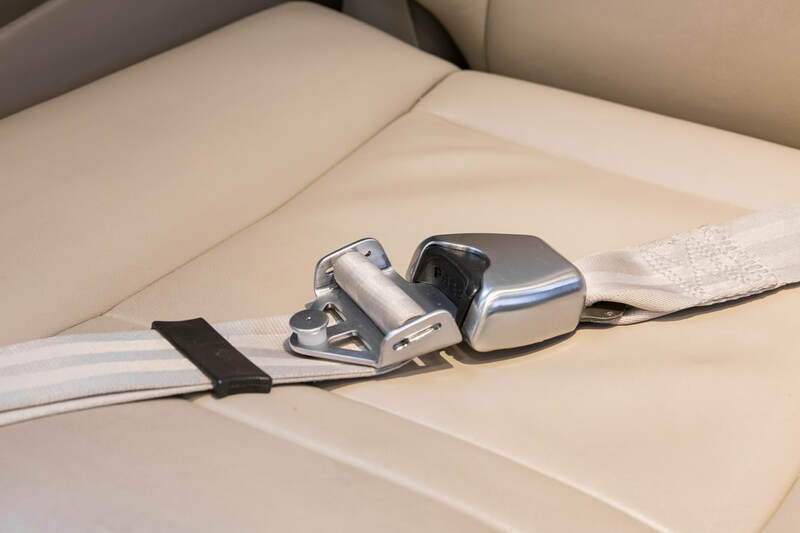 A single inboard armrest folds down and out of the way when not in use. 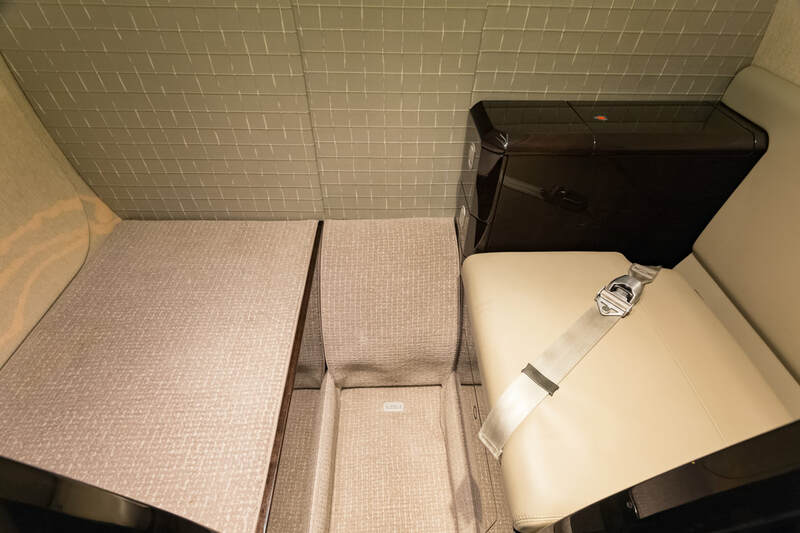 A left-hand belted fresh water flushing toilet in the aft cabin lavatory offers an approved eighth passenger seat. Sliding divider doors provide privacy. A dedicated equipment cabinet (no general storage) is across from the belted toilet. 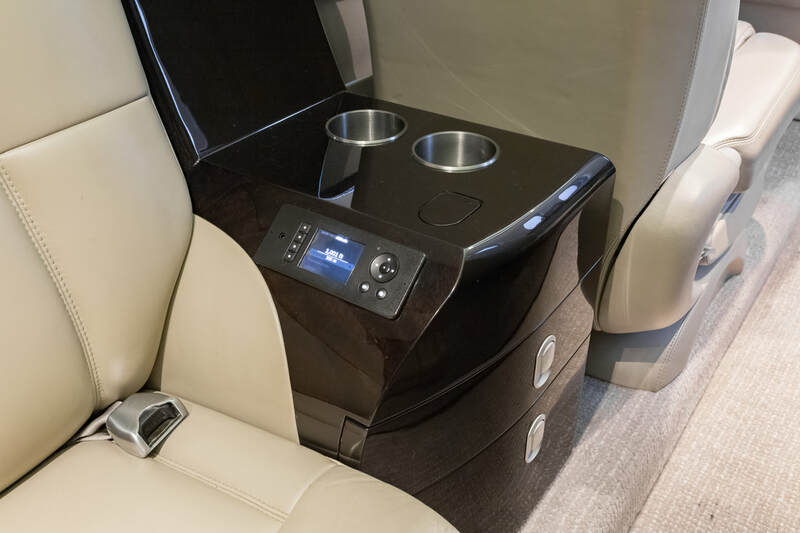 The side ledges feature side storage pockets for magazines or newspapers, dual cupholders, and bi-fold tables. The club seating tables are the wide executive style, while the aft tables are slimline style, each having a wood veneer finish. In the lower sidewall next to seats #5 and #6 are two 110 volt AC outlets, one on each side. 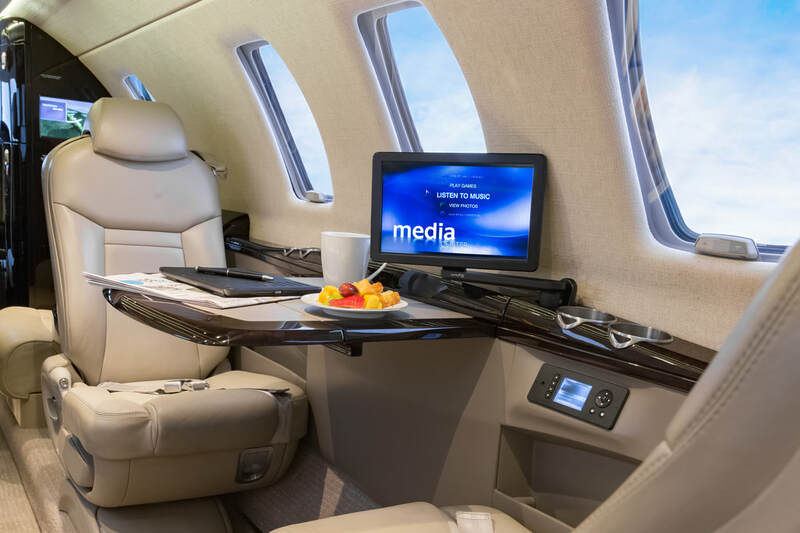 The VIP seat includes a corded Aircell Axxess II satellite phone with a cockpit intercom call switch. 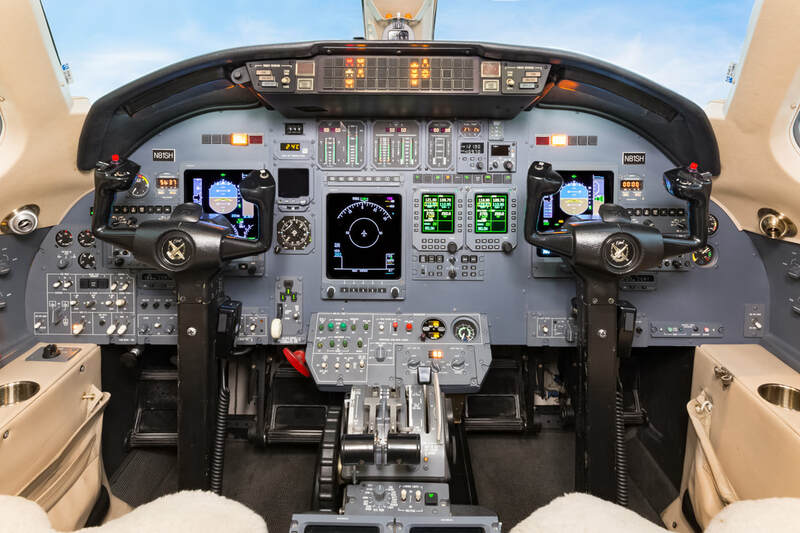 An Aircell Axxess II Phone is also located in the cockpit overhead. 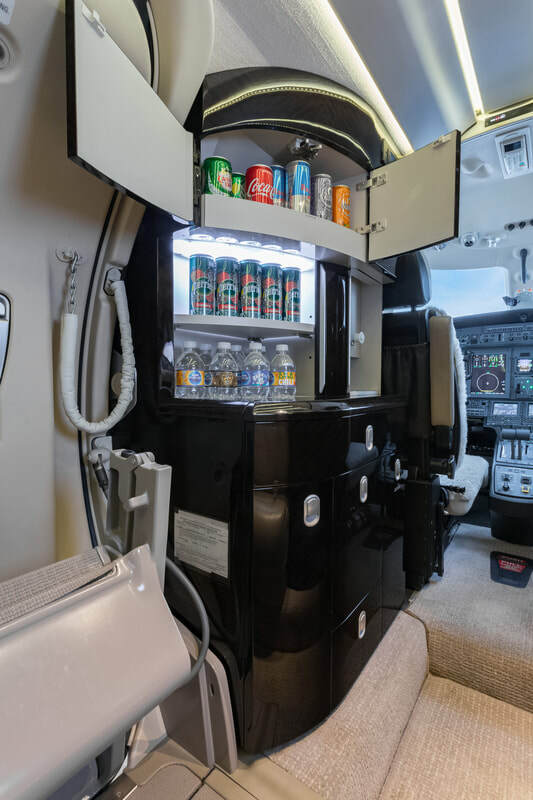 A refreshment center/cabinet (Location 1) is set behind the pilot’s seat with a heated liquid container, ice chest, LED work surface lighting, and other storage places. 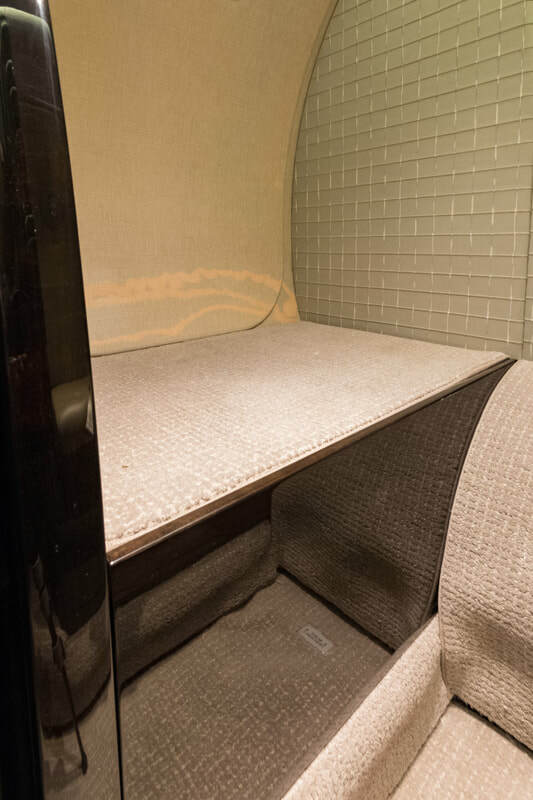 A 22 inch wide equipment/storage cabinet (Location 2) behind the copilot seat, some of which houses the cabin management and entertainment equipment. 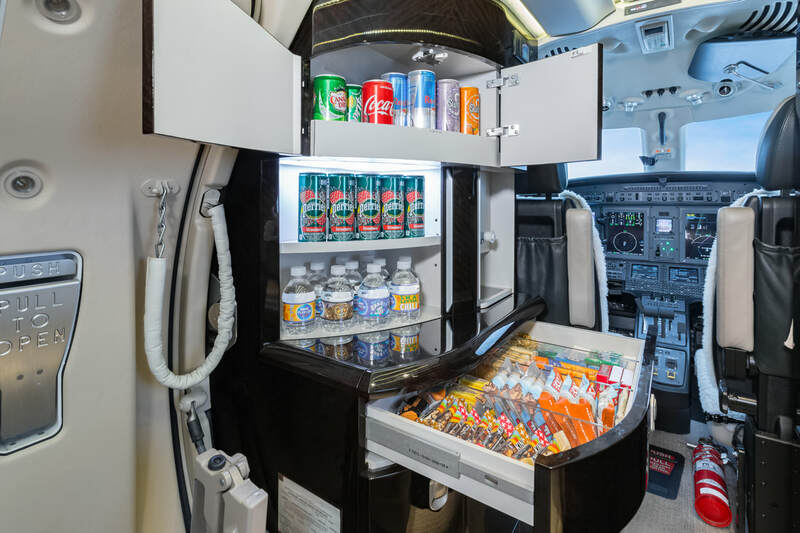 Both cabinets contain air- conditioning equipment in the lowest parts. 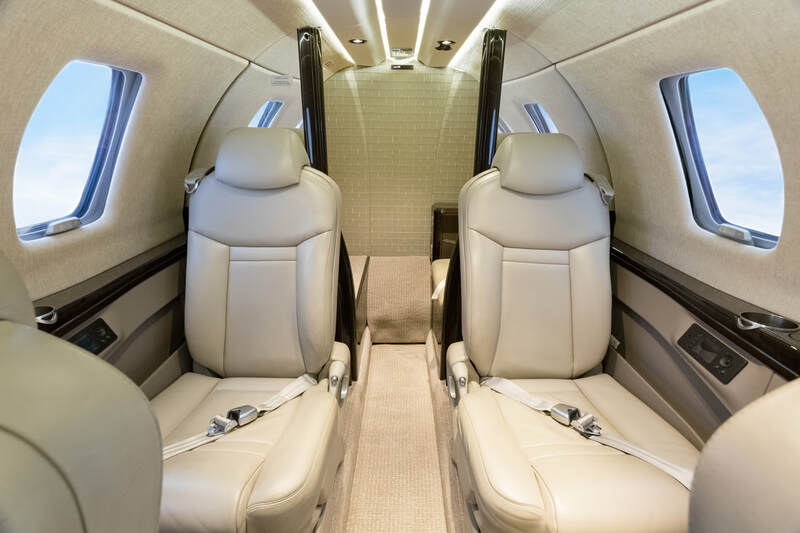 The Interior finishes include tan leather seats, sidewalls and carpet. The cabinetry and side ledges are finished in a high gloss dark wood veneer. Engine Overhaul Due at 5,000 Hour Intervals. 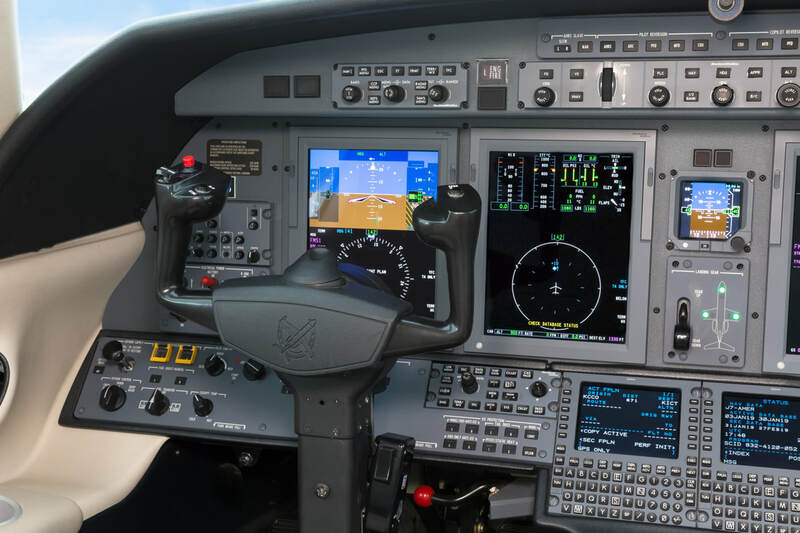 Integrated WAAS enabled GPS with DME and VOR sensor inputs to present blended navigation solutions on the EFIS. Integrated Pulse Lights System automatically activates in the event of a Resolution Advisory (RA).